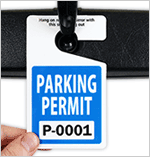 Our handy permits feature a detachable registration card. 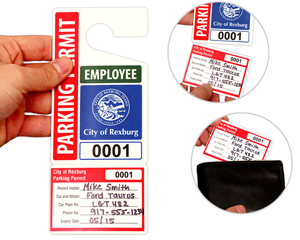 Permit holders hang the tags from their rearview mirrors and tuck the card into their wallets, so drivers will always have identification with them. Simply fill out the card and tear it off from the permit. Both feature the same number. 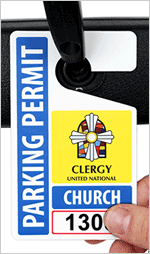 • The card is a great way to reorder a lost permit. 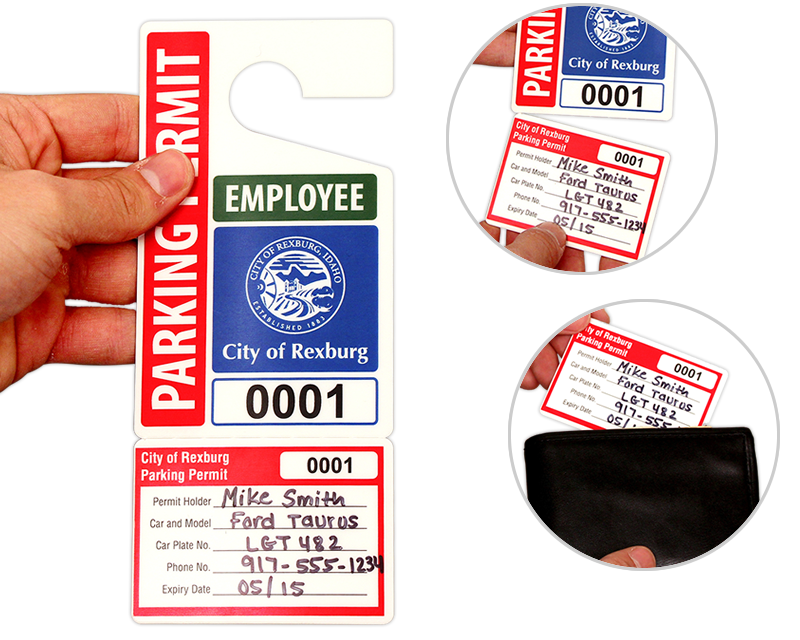 Ask the driver to keep one handy, or use it in your own filing system. 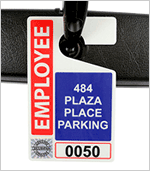 Cards also work as temporary ID, too. 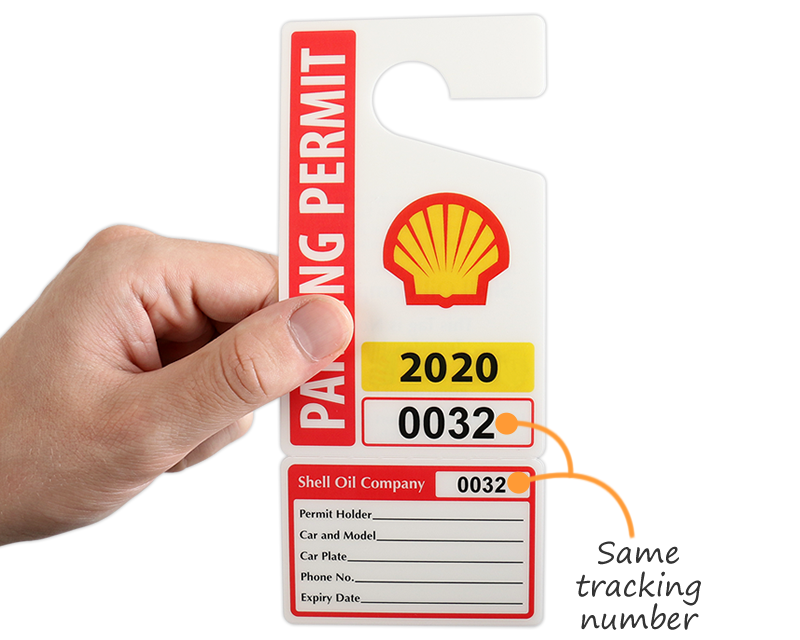 • Choose our ToughTag™ (as thick as a credit card) or try our thinner, affordable ValueTag. 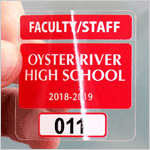 • Cost includes numbering, two-sided print, your custom logo, and the detachable card.